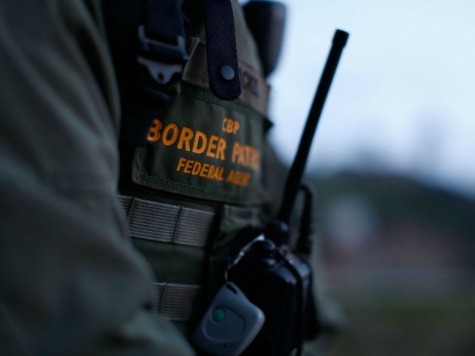 Shawn Moran, the Vice President of the National Border Patrol Council, recently spoke out on behalf of U.S. Border Patrol agents who routinely risk their lives to keep our nation safe and our borders as secure as possible to Breitbart News. “The politically-appointed class within the U.S. Border Patrol and in the U.S. Customs and Border Protection Agency are cooking the books to make it appear that illegal immigration is decreasing,” Moran claimed. “The numbers are down because they are not allowing us to check the places where we know illegal aliens are,” he said. “Some of our advanced surveillance reveals that we are about 45% effective, meaning we are not even catching half of the illegal aliens or drug smugglers who enter our nation,” Moran claimed. “Now the politically-appointed leadership of U.S. Border Patrol and of U.S. Customs and Border Protection [BP’s parent agency] have effectively grounded that system of surveillance after the numbers did not match what their public numbers were.” He added that there have also been numerous sensors the bureaucrats have ordered turned off. The shocking assertions from the National Border Patrol Council come just days after they released an explosive press release directed at their parent agency, the U.S. Customs and Border Protection Agency. The release included assertions that Border Patrol agents’ lives were being placed in jeopardy in order to appease “fringe” groups; that the U.S. Border Patrol and the U.S. Customs and Border Protection Agency were keeping information from the public about the criminal histories of illegal aliens who make accusations against U.S. Border Patrol agents; and that the federal government was refusing to prosecute violent illegal aliens who attack U.S. law enforcement officers.